Some of you might be familiar with crafting, some of you might even consider yourselves crafty. Some of you, my dear friends, believe you aren't crafty at all… but I've seen you make things. I've seen your creative gears moving. I know from many conversations, sometimes the problem with creativity is the “how do I do it?” piece. Well, I don't have all the magic answers in one fancy box, but I do have one tool that you are going to love… and it can even make a fancy box! The New Cricut Explore. What is a Cricut Explore? The Cricut Explore is an electronic cutting system. If you're familiar with craft knives (exact-o knives), think of this… no more hand cutting to make pretty paper cut letters or art! Last month I had the privilege of joining the Cricut team for their special product launch party for the Cricut Explore in Salt lake City. They've got so many awesome ideas and there are so many fantastic things to come with this new machine… it's not just the machine, its the entire mission statement behind the project “From inspiration to creation in just minutes”. I kid you not, it's a mission statement that holds gallons of water. You don't have to be a crafter or even feel creative to use this machine and make awesome things. I'm in love. The care and detail into the machine's design is only half the story. There's also a software program called Design Space that is the creativity you dream of. You can create projects from scratch, or browse pre-designed projects and simply click “Make it Now” and magic happens. I'll be sharing more about how all this works later. Draw and cut at the same time. There are 2 tool holders in the Cricut Explore so you don't have to take out the cutting blade to put in the drawing pen, they live harmoniously together. Beautifully designed hardware. This machine is designed to not only work wonderfully, but it also looks fantastic. It's a gorgeous addition to the creativity table. I'm a Mac user, and I can say with confidence, the attention to design detail is equal to that of Apple. Even the packaging is pretty! Design Space. An online software program that lets you design all your projects OR find projects to make with just a few button clicks. Cut DOZENS of materials. From standard paper to leather – yes, leather – you'll be able to cut a variety of materials to make an even bigger variety of projects. Extra tool storage. One thing about big craft tools, usually you need a box for the accessories and a place for everything extra. With the Cricut explore, there are two compartments inside the doors for pens and blades and a tool holder right on the outside by the power button. PLUS the machine shape was designed to allow for paper and mats to be stored underneath the entire machine… smart! Super quiet. You'd have to hear the old machines compared to the new to really appreciate the sound quality – trust me.. smooth and quiet. I can cut at night and not wake up the hubby. Easy select dial for settings. No more setting pressure, speed and depth to determine the cut settings. You can manually adjust the settings but you don't have to. The blade housing is a simple blade… in the housing. Select your material from the settings dial and you're finished. It's not rocket science people, it's pretty paper crafting! Plug and play. No big long tutorials and lessons to learn. If you're unfamiliar with cutting machines, you plug it in and go through the get started tutorial… it's not painful and you get a pretty little Thank you card when you're finished. CUT YOUR OWN… I saved the best for last. Finally, Cricut is enabling users to cut their own files. SVGs, PNGs and other cut files, the new Design Space will let you cut whatever your creative heart designs (for the most part). Some of us have been waiting forever to see this come to reality… I know, some of you have no idea what I'm talking about. Trust me, do a little jump for joy and call it a supportive leap of happiness. CUT YOUR OWN FILES!!! Read above, incase you skimmed. It's a good feature you don't want to miss. Here's my absolute favorite part of this machine has nothing to do with the cutting. It's the drawing. There are different pens you can buy that fit into the machine that you can use to draw line art. Combine that with the “cut your own” and you have draw your own capabilities. I plugged in a couple of my own art pieces and sat here and watched as the Cricut Explore drew as if it were almost my own hand. That is SO COOL! So now think of this… if you are here because you like my doodles… I will be able to share doodles with you that you can use with your own Cricut Explore (because you're going to buy one ASAP, right?).. it will be like you'll be able to sit over there and watch me draw. It makes me SO EXCITED to think about! Doodle away the day with me, I can't wait!! You can see a quick video of the machine drawing on my JGoode Designs Instagram page. Why am I so involved with Cricut? Do I sound like I'm pitching too hard… that's called Passion, my friend, PASSION. I'm hoping to share piles of fun creative inspiration with you and I love the direction Cricut is moving… it's all about giving people the opportunity to create. The Cricut Explore machine plus the new software platform, Design Space, make it so much easier for you to get your creative mojo moving. Plus I'll be able to share my art and designs with you. Coming soon, I will be sharing project ideas and I will be showing you how to use this machine as time goes on. I'm still learning the software and I'm still finding my way… so I plan to take you along on this journey as I go. I'll even bring the snacks. I've always loved Cricut and their products. To be able to talk with them and see their passion for creativity just loves them that much more. I know you are intregued and I know you want to read more… while I grab a glass of something, you go check out the Cricut website. Soak in all that Creative Cricut goodness and don't forget to write down your questions. I'm happy to answer anything I can… so YES PLEASE, leave your thoughts in the comments below. I'll be back with more to share soon! Do you already have an Circut Explore? Are you ready to make some fun new projects? I have a whole list of ideas I'd love to share with you. Check out my Create with Cricut page for inspiration and tutorials. You can also check out my article about How to Write and Draw with your Cricut. PLUS, don't miss my favorite Cricut Products and you could grab yourself a treat from my list of Gifts for the Cricut Crafter. Still don't know what to do with this? Holler in my direction, leave a note below or catch me on Facebook. Jane, I’m so excited you’ve got yourself a brand new Cricut! The first place I suggest starting is the little booklet that comes in the box with the machine. It will walk you through, step-by-step for setup and making your first project! Next, check out this page – I have collected a bunch of different resources and places to look for help and tutorials. Let me know how the setup goes, I can’t wait to hear about that first project! Wow, you are so talented. I’m a Cricut user and have made many of your little Love note cards. I could have sworn I saw another set (more generic) of the same style cards on Cricut. I can’t for the life of me find them and would love to make cards for other occasions, thanks, birthday, etc. I especially love the size and the font (another thing I can’t even remotely replicate). Is that a font that you designed? Sell? Or is it one of the 100 million residing in font sites all over the web? I’d appreciate your help. Thanks. Not looking for freebies here. Best. Hi Kathy, thank you so much for stopping by! I need to create more mini card designs, I’m so glad you like the mini love card. Other occasions is a great idea, thank you for sharing. The fonts.. that’s all my hand writing, but I haven’t yet created a font with it, just individual words and phrases. I’m definitely planning to create a font though, so keep an eye out. I’d love to see the projects you create, if you’re on facebook, hop over to my Facebook page and give me a shout. Happy Creating! I’ve synced my cartridge for my cricut explore, however I can’t access the images. I own 42 cartridges, and don’t want to buy images I’ve already paid for. Hi Annie, I’m so sorry you’re having trouble with the Explore. You WILL LOVE IT, I just know it! When you sync your cartridges, are you then looking for the images in the design library through Design space? Help me understand where you are trying to access them and what’s happening. Hi Jackie, I am so glad you found my site too! The new Air 2 does not come with a carrying bag, you’re right. 🙁 So sorry about that. The original Explore did. You can now pick out your favorite carrying bag options… it comes in Denim Blue or Slate Grey (affiliate link). Thank YOU so much for stopping by and saying hello. I can’t wait to hear about all the fun things you create! Does the Cricut e poorest have numbers on the cutting housing to be able to cut deeper like the old machines have? Yes you can adjust the depth, but it’s done differently with the Explore. The Explore doesn’t have an adjustment on the actual housing. Instead, all the adjustments are in the digital admin so you can fine tune the depth. Hi! Yes, if you would like to emboss your projects, the Cuttle Bug is a must! The Cricut Air cuts designs, the Cuttle Bug embosses them. Does that make sense? I have a Cricut Explore and cannot find some of the features that I liked to use on the old Cricut Expression. Is there a way to cut duplicate images without copy/paste, copy/paste, copy/paste, etc.?? Or is there an auto-fill feature to cut as many images as will fit on a page? You can set up the duplicates when you get to the cutting mat view. It will let you input how many copies you want and then the screen will display how they will cut… which you can then move around. As for fill the page, I don’t think so… not yet. I’ll double check on that though. Oh thank you! I hadn’t looked there. That should help a lot. I once had a project where I had to make 500 1/2 inch ladybugs and 500 3/4 inch frogs for cupcake wrappers. The auto fill came in really handy for that! Does this Machine use cartridges like the other cricket? Hello! Yes and no. If you have cartridges, you can sync them to your new Explore machine, but you only sync once and then the cartridges can be put away in the back of the closet. However, you don’t need cartridges. All the designs are available through the Cricut Design Space design library which you will have access to with your new machine. Great article. Are you speaking of all the cricut machines or just one model? I just received the Cricut explore air machine for a gift and am wondering if this model is the one for me. Hoooray for new crafting toys! This article is talking specifically about the Cricut explore eries, so the one you received for Christmas is within that line. I’d love to hear if you tried it yet and what you thought… Happy crafting! Jen, I have some questions about Cricut Explore Air. I talked to a woman who had one and she said that the cartridges are stored on I Cloud and then they are not usable with the Cricut Expressions. Is this true? Or can you still use them with the Expressions? Yes and no. Yes, you can still use your cartridges with a Cricut Expression. Yes, the cartridges are stores in the cloud… when you set up your Cricut Explore (one, air or air 2), you will set up a Design Space account through Cricut.com. Then you will need to add all your cartridges to your Design Space account, so you can access the images you already own. Once you sync the cartridges with your account, the images will be stored in the cloud and you no longer need to insert the cartridge into the Explore machine. BUT, you can still insert the cartridges into the Expression and use as you always have. I hope that helps! Hi Brenda, Oh I’m so excited you have a machine to play with! The Cricut Explore doesn’t really come with a manual. To get it set up, plug it into your computer and go to https://us.cricut.com/design. From there you can then use the software online. There are a ton of tutorials available online but I will work on writing up a getting started post too. Oh I’m so glad this was helpful. 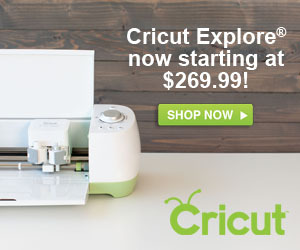 Do you currently own a Cricut Explore? the cricut explorer uses cricut design no overlays. with the overlay you had top and bottom symbols how can I get to the bottom of them. The different layers can be moved around by selecting the layer you want in the layers menu on the far right or by adjusting the order of the layers in the “arrange” menu at the top of the canvas screen. I’m a new user to the Cricut Explore and find the Design Space software has a high learning curve. Cricut doesn’t provide any real direction to the software. I’ve been watching You Tube videos and following along to practice creating stuff. What confuses me the most is how to do full color images without having to cut a bunch of layers and stick them together afterward. Any suggestions? Some images can be flattened and then printed and cut. It doesn’t work with all images, but try that out with some of your cut files and see what you can create! I was wondering if you could help me. I wanted to see if you knew how to make the cricut explore write whatever you want. I know that some templates have words on it, but I wanted to have an apple design and then put my own text in. how do I get it to write what I am writing? Is that possible, or do I just get whatever the template has on it. You can add your own text to any design using your Cricut Explore by choosing a font with a writing line. I don’t know off the top of my head if there is a free one, but I know there is a nice selection to choose from. Let me know how that works for you! Hi. Is there a mobile app that I can download for my Kindle Fire? I bought the bluetooth also is that something I can use? Hi Kathleen, I’m sorry, I think the mobile app is only available for ipad right now. I’ll see if I can find out any other details… I’m not sure if there are plans for Kindle. Crossin’ my fingers for ya! I was told by a Cricut support person that I could use my unlinkable cartridges in Explore like I use them under Bookmarks in Craft Room. My daughter got it for me for my birthday based on that. I have not figured out how it would work, though. Bummer. Hi Betty, I’m so sorry you are having trouble. That makes creating no fun! I’m not 100% clear on what an “unlinkable cartridge” is. Can you help me understand? I don’t have any cartridges. However, I do know you can link your cartridges – the tangible ones – using the little cartridge slot on the Explore. Are the unlinkable ones… cartridges you’ve bought directly through the Cricket Craft Room, so you have digital access but not an actual tangible cartridge? Two questions: First, you said it could handle four different pens…what are they? I haven’t found anything but the Cricut pen that fit yet. Second, I’m having trouble importing other types of images into the design gallery. They often don’t layer properly, and sometimes the machine doesn’t write them the way they are supposed to look. I’m not sure how to problem solve…all the videos and beginning pieces of instruction are great and very helpful, but I think I need help with stage 2. I have and like the machine, but it’s not operating up to full capacity yet. How do I get it to that stage? There are a number of pens that Cricut now offers for this machine. I prefer the fine point, but some of the pens are a medium point (for example, the metallics). You can find them all through the Cricut Shop. It’s hard for me to say what could be causing the issues with the images you are trying to cut. Are you importing them as JPEGs or SVG files? Let me know and I’ll see if we can work this out together. Hi Lilian, I’m so sorry to hear you aren’t having any luck cutting fabric. Have you tried using a fabric stabilizer? It’s a material you iron on to the fabric that helps it stay stiff while cutting and then you remove it after you’ve made your cuts. Same material embroidery shops use. Keep me posted and we can work it out together! I have use fabric to cut out with my cricut expression but have not done felt. Really ddoes the new machine, cricut explore cut felt? Hi Barb, Yes, the new machine does cut felt. I haven’t cut felt myself yet, but know of other designers that have. The trick is to either use a very high quality felt, or use a fabric stabilizer. I’ll let you know what I find out when I try it myself too. Thank you for stopping by! I have a cricut expression(first one) about 7 1/2 years old now. i use my machine about 10 or more times a year. I am wondering if I should get the new version? I see that drawing and cutting would be very useful. Really need some great reasons why to get the new when my expression is wonderful. Cost is a concern. i don’t want by another machine if mine can do most of what the other can do. Thanks! 1. Access to the entire Cricut library. You can buy individual images, instead of entire cartridges. You can also sign up for a monthly membership which gives you access to the entire library each month you are a member (1000’s of images, YAY!!). 2. Sync your current cartridges with the machine and your account holds on to that information. So if you want to take your machine with you to use somewhere else, you don’t have to lug around your cartridges, your Design Space account will have access where ever you go. 3. Free Mobile app for Design Space and Make it Now projects. Create projects available in the Make it Now section of Design Space from your tablet. 4. Design Space offers 100’s of projects that are ready to make (Make it Now). You just select a project, gather your materials and follow the on screen instructions – no need to do any layout. Pretty cool stuff! – This one is important, they add free projects and images that, from what I understand, we only have access to through Design Space. 5. Use your own cutting files OR upload art to use – I know you already mentioned this one, it is a really great feature. Design Space is really a major difference, and currently it only works with the new machine. Sometimes technology advancements are too complex to be “backwards compatible” – meaning its really difficult to design some software to work with old equipment. So going forward, if you want access to the new library and design software and make it now projects, you do need the new machine. (that was a really long answer huh?)! Think of it more like how we upgrade our computers – mine it about 5 years old now.. but I’m at the point that if I don’t get a new computer, I won’t be able to upgrade the software anymore. I have no problems cutting or writing using the Cricut designs, but when I try to upload and cut or draw a clipart picture or another drawing, such as from a coloring book, no matter how simple the drawing, Chrome Shockwave always crashes for a few moments. Then in cleaning up the picture with the eraser tool, it leaves lines that are choppy instead of smooth. What am I doing wrong? I haven’t even tried to use drawings that I have made myself, just those I googled from free printable websites. Hi! I’m sorry you are having issues with the design converting feature. I haven’t tried to upload and convert images yet – it sounds like that is what you are doing… uploading jpegs? I create my cutting files and save as SVG. I will play with this feature and report back what I find so I can try to help out with this more. Hi Mary, Thank you for the comment and YAY that’s a lot of creative fun! The Cricut Explore uses the Design Space library which would provide access to all the images available. When you first set up your machine, you would sync all your cartridges and then your Design Space account would allow you access to all the same images you already own – with no need to haul your cartridges around anymore. Plus you’d have access to purchase and use any of the other images available. I know buying a new machine is tough when you already have 3… The Explore uses a new generation of technology that has some pretty great features going forward. I’d love to hear what you decided to do, stop back by and let me know! I do not use Apple computers. I use the Android based systems. When will Cricut be available to work with other systems? Right now I can’t download or use Design Room or anything on my Android system. I own every Cricut machine put out from the Gypsy to the Yudu. The only machines I do not own are the Cricut Mini and the Cricut Cake. I just purchased the Cricut Explore and cannot wait to use it with my Android system. Opening up Cricut to work with any and all operating systems would truly make these machines limitless and amazing. I do not have an exact answer to this question. Are you able to use the Cricut Craft room with your other machines and your Android system? Honestly, I didn’t realize there were desktop computers built on Andriod, I thought only tablets were using that platform. My geek side learned something new today- of course I had to look it up and it seems these systems are running on the mobile os, so I wonder – could your system use the mobile app? It’s not the full design space, but would offer some use for your new machine…. I’d love to hear how this works out, stop back by and let me know! 1) Do you have a video ir something where I can see that you are creating your own file and them cutting with your cricut? 2)whats the silver blade for? I haven’t yet shared a video showing the process. I will write up something to share – stay tuned! 2. The silver blade is the standard blade housing that comes with the Cricut Explore machine. Hi! I’m so interested in the explorer! I have many cricut machines, including expression, cake, gypsy and imagine. However, I purchased my imagine and updated it. I have MS and was very ill so the machine sat for quite some time, when I turned it on nothing happened and I received no support from cricut since I did not register it. Even the wire ties were still around the cords to the machine. I am a little afraid of purchasing another machine? Even though I really would enjoy it…. Hi Konni, I’m so sorry to hear this. I completely understand where you are coming from. I wish I had a better answer for you – The new machine is the only system that works with the newest software – although Craft Room is pretty great. I think the most beneficial feature of the new software is the ability to buy individual images instead of whole cartridges. AND as software is updated, the machine can be remotely updated to continue to work with it. I personally love being able to design my own cutting files.. but if I wasn’t a habitual doodler, having access to the entire design library would be my favorite feature for sure. I’d love to hear what you decide – stop by again and let me know! Cricut was due out ). Needless to say, I have hundreds of dollars invested in cartridges and the imagine, without support. Hi Amy, I completely understand! I’m so sorry you have not have a good experience with your Imagine. 🙁 It is very frustrating to invest so much and then the support is no longer available. I’m a bit of a craft equipment hoarder – I have old sewing machines, computers and 3 other cutting machines in my craft room right now because they still work and I don’t have the heart to get rid of them yet – good money was spent! That said, I am in love with this new machine because it works directly with the software that allows me to use my own cutting files. PLUS you can connect all your current cartridges to it! There is a little cartridge slot at the top of the machine – you plug the cartridge in and the software syncs… so you then, forever, have access to all those images in the Design Space library! Woo Hoo! So exciting! My daughter has a Cricut and LOVES it. Can not wait to see all the fun things you are creating. Thank you Heather! I’m excited to hear what your daughter creates, stop by and again and let me know! Just curious, what pen did you use for the black writing. I am not liking the pens that come with the machine and it is driving me batty! I do not know if I am using font to small? But my marker gets big chunks on my paper and I have wasted so many pieces trying to find a good font and good marker? Also, what font did you use for the picture. It looks amazing!!!!! That said, I have also used a Le Pen brand fine point pen as it fits in the machine. Just be careful when you use other brands in the machine as they aren’t necessarily designed to fit. This Le Pen size fits best from what I have tried. I’d love to hear how you like them! I’m a little worried about being able to use Design Space with my internet connection. If I don’t have any trouble using it now (I don’t have my machine yet), could I still have trouble cutting? Hi, thank you for your post. I received my explore yesterday and I noticed there’s no auto fill or fit to page. Can you help me figure it out. I have to make a banner and was wondering what is the easiest way to achieve this. Thank you in advanced. Hi Georgina, YAY YOU! I’m so excited you got your Explore already, what fun! So help me understand a little bit better please.. you are trying to fit the individual banner pieces to the full page for sizing, or trying to fit as many banner pieces as you can into the page? Or something entirely different? Thanks so much for stopping by. We’ll get this figured out as quick as possible! Sorry for the confusion. I wanted to know whats the biggest size I should make the piece in order to make it fit into one page in other words like a paper saver. And if I wanted to make something the size of 12×12 what would be the best way to do it. I had the expressions 2 & there was one button to do as many pieces as you could on the paper and another feature that allowed you to make a piece as big as your mat. No worries, I just wanted to make sure I understood what you were after. I am not sure on the option to fit to size. When you get to the screen that shows the cutting layers, right before “go”, you can select how many repeats you want of a given item on the mat. The system will then lay them out as best as it can to fit the mat. SO I just play with the quantity until I see as many as the mat will hold. I’ll ask if there is a better way and share what I find out. Are you EVER going to use it and post about it? Hi Dee, ABSOLUTELY! I have used the machine a number of times.. but haven’t written any tutorials to share… instead I’ve been working on creating projects you can try too. Would you rather see some basic projects just to show what it can do? I’d love to hear what you’d like to see! If I purchase the Explore, it will be my first cutting machine. I am very I interested in getting it, but I have some questions that I can’t seem to find the answers to. Maybe I missed them while scrolling through all the comments. How exactly does Design Space work? Is it only for accessing the Cricut libraries and/or uploading your own images? Can I actually create my own design from scratch on there? If not, what software do you recommend I get for my Mac book? HI Stephany, I apologize for missing this comment earlier… I have no idea where it was hiding, but I’m glad I saw it now! Design Space is a software program that runs in your browser. There’s a plugin that you install when you first visit Design Space – just follow the instructions when you set up your account. The program allows you to access images, upload your own images and create new design layouts using those images and text. You can’t create your own design from scratch, unless it is text. however, you can draw a design on paper, with a black pen, scan it and upload that into Design Space. Or you could use software – I use Adobe Illustrator. There are other Vector based programs, I am not familiar with… Design Space does convert line art to cutting files, so simply drawing and scanning might be a great first step. I’ll add a tutorial for that process soon so you can see how it works. I hope this helped and sorry again for the really long delay in my response. Will the original pens from Cricut work to write? No Tracy, the new machine requires different pens. But the new pens are really fantastic! I’m SO sold! I can use this for all manner of stuff AND the hubs can get use out of it for his model train stuff too! Though, any idea on what the price point is going to be? I’m still torn between this machine and the Cameo. Are we able to access the online gallery of available images for purchase before we buy, in order to give us an idea of what we can purchase for use? This would be extremely helpful. Also, I would love to be able to preview and test drive the design software first. Hi Gail, I’m not sure if you can access the library without an machine. You just need an account and it’s free… which gives you access to potentially all the images available. Some included for free and some at an extra charge. Let me see if I can find out about browsing the library without purchasing a machine. Hi Gail, I just got confirmation… once Design Space is available to the public, you will be able to preview the image library without a machine! I think you’ll love all the great design and project choices. Please do stop by again after you’ve taken a peek and let me know what you think! Do you have to have the explore plugged into a computer/iPad for it to work, or can you still choose the images off the cartridges when they are plugged into the machine? You have to be connected to Design Space to use the Explore. There is a wireless feature, so you don’t have to be wired to your Explore.. but you do need an internet connection. Hi. Great info. I’m planning to get the new Explore. Do you know if my Gypsy will work with it? And it seems like Design Space will be similar to Craft Room, is that a correct assumption? I don’t quite understand what the Gypsy does, but I do not that the functionality isn’t needed with the Explore. Instead, you’ll be able to wirelessly (or wired) use the Explore with Design Space without having to carry around all your cartridges (that’s my vague understanding of the benefit of the Gypsy…). Does that make sense? Yes, Design Space is similar to Craft Room with even more features, designs and opportunities to easily create – not forgetting the option to cut your own files! Just went on HSN and they don’t have a video from the on air demo, only the Cricut video which doesn’t really show very much detail. Can you use other pens in this or must you use only Cricut pens? Do the mats from our other Cricut machines work for this one? And, how about all our other cartridges. I have quite an investment in Cricut stuff and would hope it would all be useable with this one. Thanks so much for your help. Pens – for now, just Cricut supplied pens and they are different than the previous pens. I truly love them, there are a couple different nib sizes and one is similar to what I already draw with! Mats – previously purchased mats work great! Cartridges, yes you just link them to your Cricut account and you’re good to go. If you havent linked them already, the Explore allows you to do that easily! I look at this like buying and upgraded computer – or even a new version of my phone. The hardware is a little different, the look might change. SOme of the features I love are the same… the operating system usually has changed but for the better. If we now link our cartridges to this program, will that mean they are not useable next time they put out a whole new machine because they are now linked to this? This seems very interesting. I have a question about the images you can scan and cut. Does that mean I could stamp some of my favorite rubber stamp images, scan them in and then print and cut them? That would be the most valuable feature to me. I have a Cricut, but it is very limiting because I can’t find some images I really want to use, even after purchasing many cartridges. It is frustrating to be so limited to someone else’s thoughts of what I might want. In the cut feature, how much of an area is left around the outside of the drawn image, white edge? Thanks for all your information. It really helps to better understand what this new machine is about. Hi Mary, in theory, yes, you are correct. YES! you can create art – however you create it – scan it, upload it to Design Space and the software will create a cutting file. Cutting paths are different than drawing paths because there is a blade following the art line. I’ll share some tutorials later on with some tips for create art that will cut nicely and things to watch out for. Thank you for more information. However, lots of us have rubber stamps we have purchased and would like to use with the Cricut and also be able to cut them out. If they are for personal use, that is what we purchased the stamps for and based on everything I read is no problem. If Cricut will not allow us to do that it may cause lots of us to not purchase this. It sounds wonderful on so many fronts but I found that with the Cricut I have and lots of cartridges that it is still very limiting for what I want to do in card making. Can you tell me the requirements for downloading the software? I am not able to download Craftroom, so should I assume that I won’t be able to download Design Space, either? I don’t have access to high-speed internet where I live. I’m not sure on the requirements, I’ll check and get back to you. I do believe, high speed internet is required, but I’m not positive. If I can get the program downloaded, do I have to have high-speed to use it? You don’t download Design Space. It is all web based. It runs in your web browser. So a high-speed internet connection is required. Thanks for the info. Do you know the specific requirements/speed? Ok I am really confused. I am not puter savvy at all BUT can the explore be used like the silhouette…. No cartridges, use images off the internet? The silhouette has soooo many problems from what I have read…I am looking for a very user friendly machine. Hi Shelly, YES! The Cricut Explore can cut images without a cartridge. When you set up your Explore machine, you will sign up for a free Cricut Design Space account online. This will give you access to the images available to cut without cartridges AND you can also use your own image cut files or images you draw and scan and upload. There are tons of options! The print, then cut feature will only be released after June, so I waiting to see what people have to say about it. Have you had a chance to use this feature? I haven’t tried print and cut yet, I’ve been using the SVG upload. I’ll see if I can try out the print and cut in a beta version and let you know what I think. Thanks so much for stopping by! Hi Deb, thanks for asking and YAY that you have a new machine on the way! I do not think the replacement blades were for the Explore. I’m not 100% sure on that, but I quickly browsed through the available products the other night and wasn’t sure about the blades either. The new blade is really fantastic and supposed to last much much longer. That said, I just looked again and if you are looking at HSN and click on the blade product for more description, it should say which machine it is for. So far, in my quick search, I’ve found blades for Cricut Cake and Cricut Expression… but not Explore. Thank you so much. I was thinking the same as you but didn’t want to think I missed ordering them. Have a great evening. Hi…thanks for this information!!! It is helpful… I did order the new Explore but do no know when or how to download the Cricut Design Space….any ideas? Thank you!!! I’m so excited about this machine but have many reservations about purchasing it. I’m fairly new to crafting with Cricut. I have a Cricut expression which I haven’t even mastered yet. (LOL) I understand the cartridges I have can be used with the Explore, but I also have digital images on Craft Room, can I still use these with Explore? or do I need to keep both machines? I’m assuming Design Space is the Explore’s craft room. Is the free limited membership for a limited time only? Do you HAVE to have a paid membership to Design Space to use SVG’s etc. Any info you can give me would be greatly appreciated. Hi Christine, thanks for all your great questions! I can not answer everything but will find out and get back to you. You do not need a paid membership to cut svgs… You do need a free account though. As far as I know, this free account is always and forever free. It limits which images are included… But any cartridges you own, link them to your free account and they will be available. Additional images are included in that free level and then the rest will be available to purchase individually. I’ll get back to you about the craft room question. Thanks so much for the info Jen. I’m thrilled that the images I purchased digitally won’t be lost. I too ordered the new Cricut. I can’t wait to get it, the possibilities seem endless. I checked on the Craft Room vs Design Space and from what I understand, you should be able to link the two accounts so your new Design Space account will acknowledge your current digital images. I think you only have to do this one time. If I hear anything more I’ll keep you posted. Thank you so much for stopping by! Hi Jen ~ love your blog and Explore review. Just wanted you to know that when people link their carts to Cricut Craft Room, they have linked them to their cricut.com account. And that is what Design Space also accesses for images, the person’s cricut.com account. Any digital images they have in Craft Room, will also be in their cricut.com account and available in Design Space. Thank you so much Paulette! will the new cricut still be able to use the old cartridges? also any ideas what i would do with my old machine? Hi Angel, YES! The new Cricut can use the old cartridges. You just sync up the cartridges to your new machine account and you’ll have access to everything you have purchased. As for your old machine – I don’t have a good answer for that, I’m sorry.